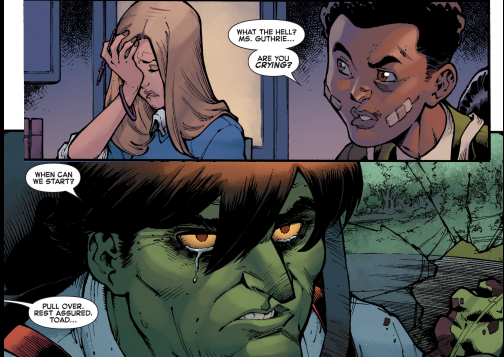 Let’s take a look at love this week in the Marvel 616 Universe, since you know, Valentine’s Day and what not. 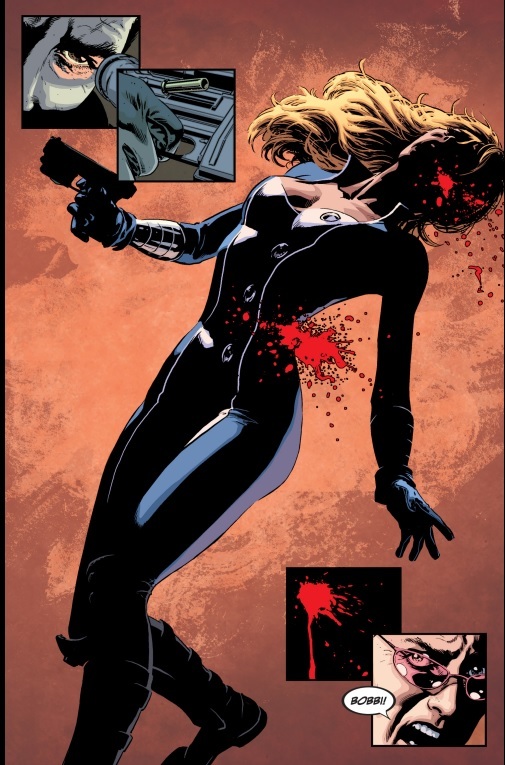 Well, we’re off to a nice happy start, as Clint gets to watch his ex-wife get shot down in front of him (it really is a recurring trait in their relationship, poor Clint.) 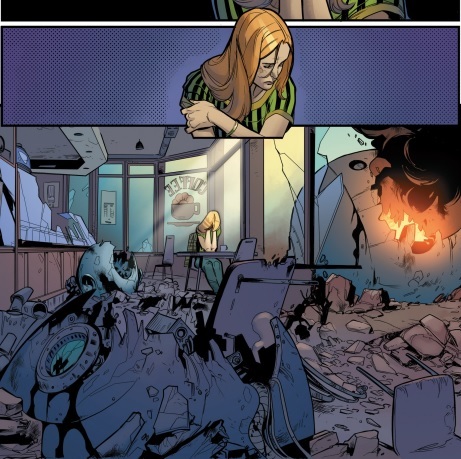 Maybe things cheer up in Avengers? 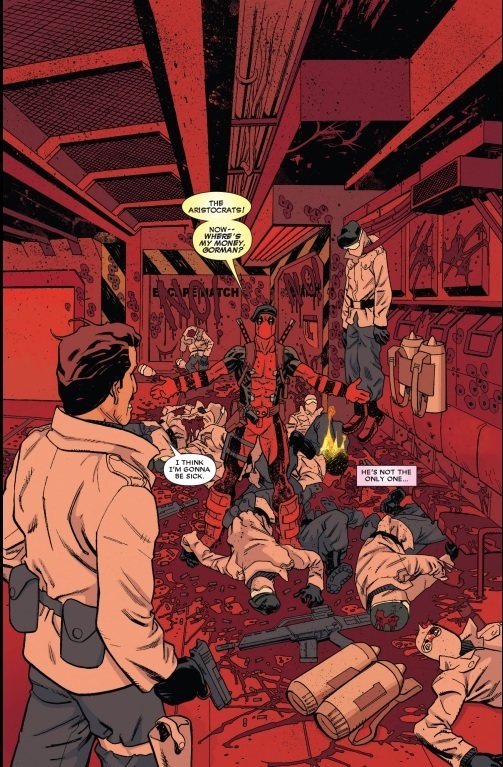 A broken heart leads Deadpool to try his hand at the infamous Aristocrats joke, against helpless goons. He also recreates several kills from the movie Alien and decides that even if his daughter lives, he wants to have no part in her life, since he’ll only get her killed. 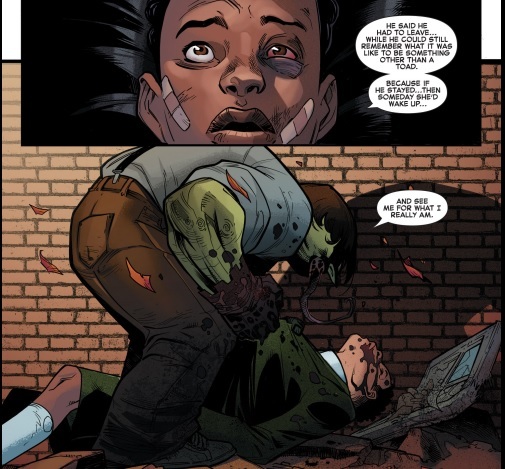 The Winter Soldier: The Bitter March #1 shows us why it’s not a good thing to get too touchy feely with the enemy. 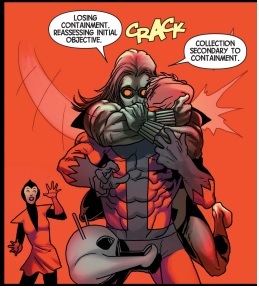 Oh, some nice spousal neglect in Superior Spider-Man, way to stay classy Otto. Sadly, this actually one of the most positive things we have on this list. I wonder who got more play on the Avengers, Tony or Clint? 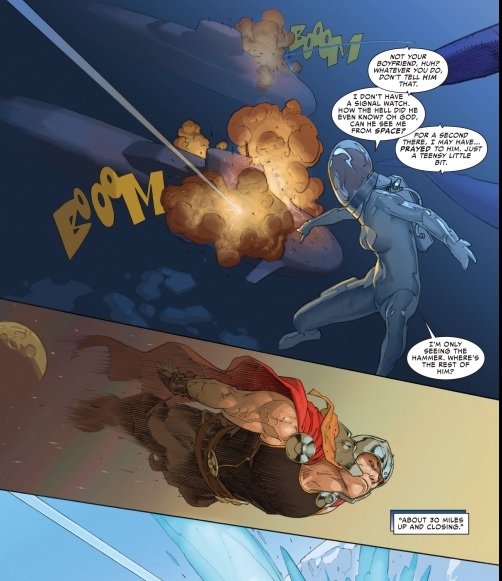 Jennifer Walter’s past relationship with Tony Stark ends up making a simple conversation into a nightmare of a case for her. Awww…. 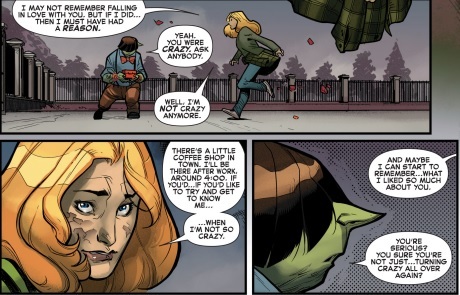 Now Wolverine and the X-Men take us home as we look at the underdog Toad find true love again. Nice job, buddy. 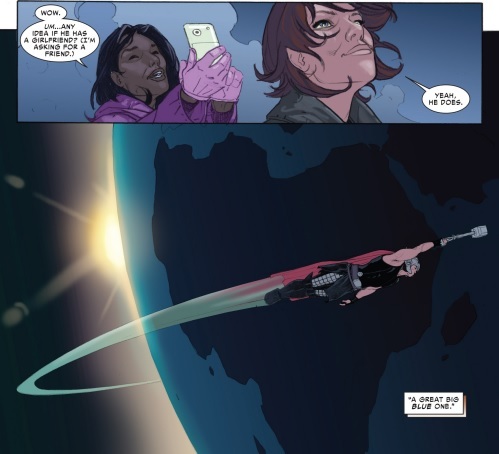 I don’t understand the Bobbi thing… did we not just make it a point to show her getting super powers in order to survive a gunshot in New Avengers?